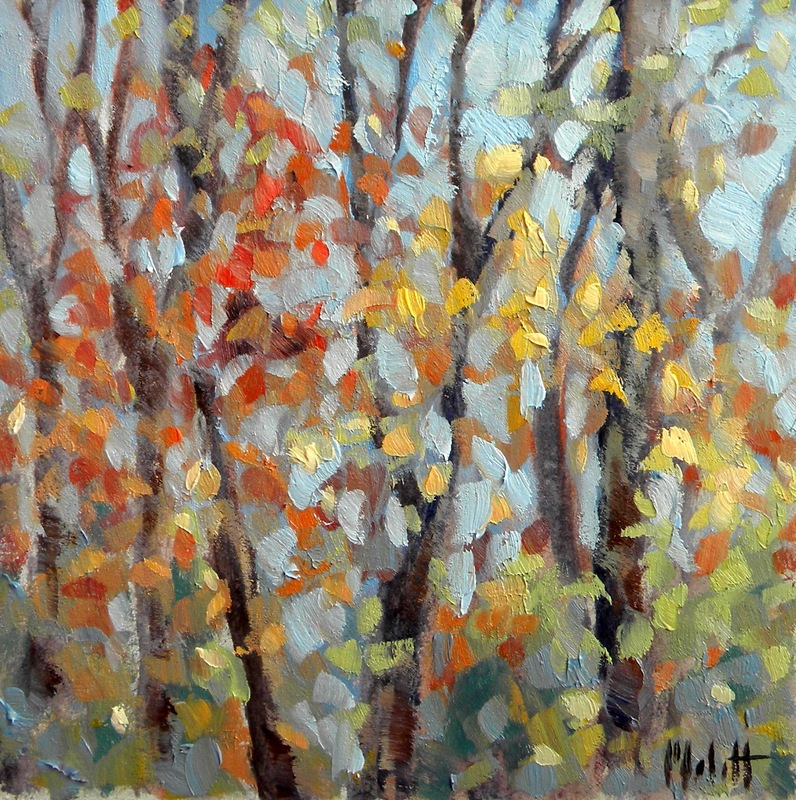 "Autumn Essence" I painted this yesterday in the backyard while my son played in the sand box which he calls the "hand box". I think he would sleep in there if I let him. 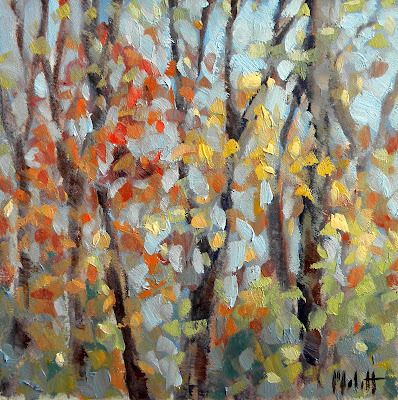 Painting this time of year, especially plein air, can be overwhelming. As beautiful as the fall colors are it is easy to overdo it. We want to convey all that color but one can get lost in all that glorious color and end up with a very bright overloaded painting. It helps to focus on a bit of color and "gray down" the rest. This helps you focus on the amazing beauty of color. Letting it sing rather than shout. I can't tell you how many times I have painted before I actually did this. Even when we know better, it is always easier said than done. Rats! Someone got to this one before I could add it to my list! Good for you! It is lovely.